Don’t think cauliflower can’t be the stuff of which dreams are made. It is. I went back to work half-time at the end of May (with a 6 to 8 hour weekly commute) and did not foresee this benefit: Stoic the Vast has vastly expanded his cooking repertoire. He’s baked a toothsome whole wheat-oat bread for years and, likewise, always been in charge of fluffy omelets with sautéed peppers and onions and featherweight pancakes. 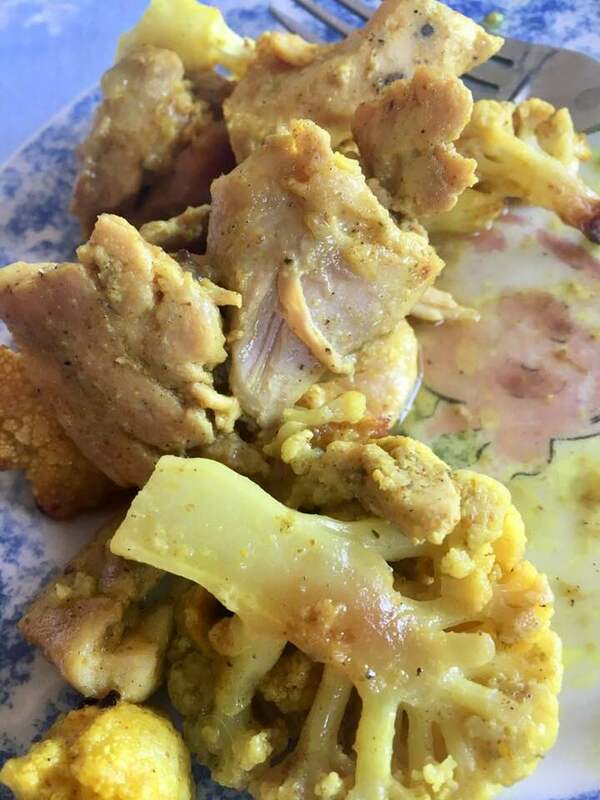 But I didn’t see the Roasted Curried Chicken and Cauliflower coming. Last Friday when he had the day off and I didn’t, he used that recipe from the December issue of Better Homes & Gardens. Now I dream of cauliflower the way Stephen Foster did of Jeannie. This is 4 servings although we made it 3. Any garlicky cucumber Greek yogurt sauce leftovers dress up a fish sandwich like nobody’s business. Heat oven to 450.° In resealable plastic bag combine `1/4 cup yogurt, olive oil, curry powder, salt and pepper. Add chicken and cauliflower; toss to coat. Arrange on 15×10-inch baking sheet with an edge and bake 25 to 30 minutes or until chicken is done, turning everything halfway through. Meanwhile in small bowl, stir together remaining 1 cup yogurt, cucumber, garlic, 1/4 teaspoon salt and 1/8 teaspoon black pepper. Serve chicken and cauliflower with sauce and a sprinkle of mint. We ate this with pre-cooked tandoori rice and fresh pineapple. Prepare to be dazzled, and Happy Valentine’s Day. 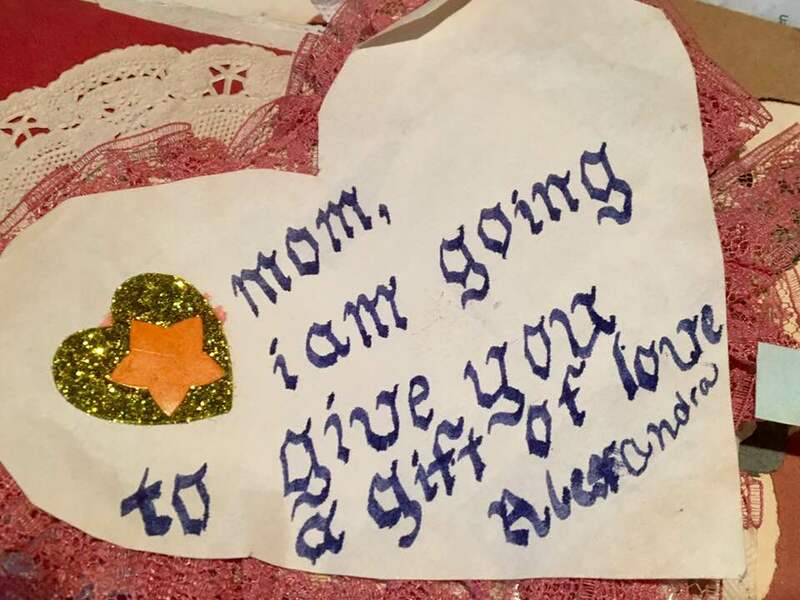 She was starting to learn calligraphy.